If Notre Dame is going to take the next step, from finalist to champion, they’re going to need more dynamic playmakers on offense. Despite the thirty points given up by the defense, there were powerful indications that side of the ball was ready for the big time. The offense, however, showed a clear need for improvement. 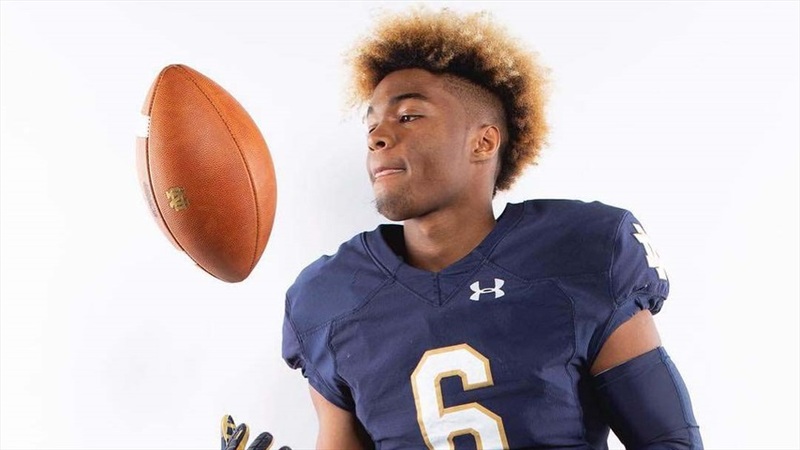 Last week Irish Sports Daily reported on two Class of 2020 prospects that possess the speed and playmaking ability to help take the Irish to that next level. What have you been missing by not being a member of Irish Sports Daily? 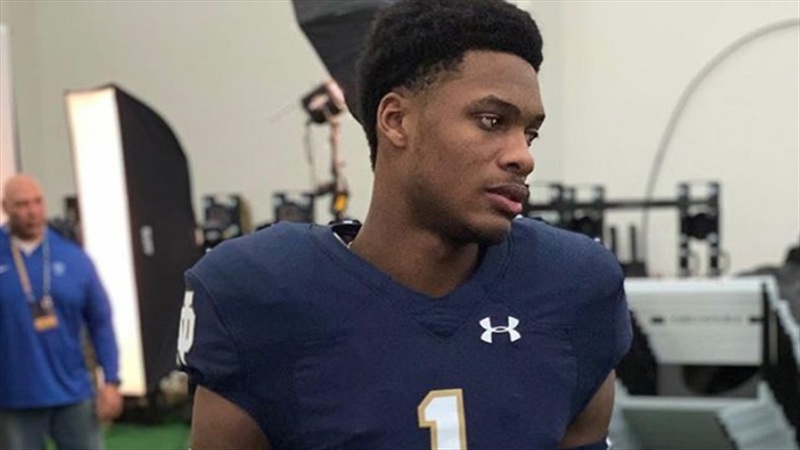 Jordan Johnson‍, WR, 6-2, 180, De Smet Jesuit High School, St. Louis, MO has been sitting at or near the top of Notre Dame’s Class of 2020 wide receiver recruiting board for quite some time. He was recently in South Bend for his second visit which only reinforced his already high opinion of the Irish. Kelly’s pitch to Johnson was not very different than his pitch to most recruits. Johnson also had very positive things to say about Alexander. Long made a point of telling Johnson how he would be used in the Notre Dame offense. The only plans Johnson has for future trips is a third visit to South Bend. He’s particularly interested in seeing the team in action. Johnson made it clear that the Irish helped themselves as a result of his latest visit. Notre Dame also elevated themselves in the eyes of 2020 recruit, Michael Drennen II‍. Drennen II, RB, 5-11, 170, Dublin Coffman High School, Dublin, OH recently trekked to South Bend and received a scholarship offer from Defensive Line Coach Mike Elston. He also left knowing that the Irish will be a serious contender for his signature. In addition to Notre Dame, he also holds scholarship offers from schools like Ohio State, Michigan, Penn State, Georgia, Florida State, Miami, West Virginia and numerous others. Even among such an illustrious group, the Irish offer stood out. Drennen II connected well with Kelly. Like it is with most recruits, Drennen II was impressed by the Notre Dame campus. Drennen II plans on following up his Notre Dame visit with a trip to Penn State. He also wants to make a return trip to Kentucky. Still, it’s clear the Irish helped themselves.